We tend not to give much thought to our teeth, our gums, and our overall oral health unless something unusual were to happen. Most of us brush and floss, and many of us even visit the family dentist for regular checkups and cleanings. Still, there will come a time when an unusual situation or a condition leads to questions about our oral health. Certain dental conditions, injuries, and illnesses may be cause for alarm as far as oral health is concerned. In this guide, we will talk about some of these conditions, helping you to understand when it is time to call the dentist for help. Should I Visit the Dentist for These Conditions? Here is a look at some oral health conditions that may warrant a visit to the family dentist. Broken/chipped teeth – our teeth are susceptible to injury, such as in an accident or even from something as simple as eating hard or crunchy foods. A chipped tooth may not be cause for alarm unless it is accompanied by discoloration or pain; in that case, visiting the dentist is a good idea. A broken tooth, on the other hand, is an emergency situation that requires immediate dental attention. A broken or cracked tooth can allow bacteria to penetrate the tooth’s surface, potentially infecting the delicate inner pulp or the nerve endings inside the tooth’s roots. This infection can result in severe pain and even the loss of a tooth due to decay. Swelling of the gums – swelling and discoloration of the gums is often a concern because it indicates that the gums may be infected. Some people may experience bleeding of the gums after brushing or flossing. Gingivitis, or a gum inflammation, can lead to more serious infections when bacteria and plaque build up under the gum line or between the teeth. Temporary swelling may be caused by trauma or aggressive brushing/flossing; if the swelling and redness persists after a few days, it might be time to see the dentist for help. Tooth pain – a toothache can indicate a more serious condition like a cavity, a loose or missing filling, or a broken/cracked tooth. Temporary toothaches may be caused by hot/cold sensitivity; if the pain doesn’t linger, it may not be anything serious. If pain persists, however, visit the dentist immediately for evaluation. The key for all of these conditions is severity and duration. Our mouths are sensitive, complex areas, and can be irritated easily due to trauma or neglect. Pain that lasts temporarily may not be much cause for concern, but any pain, discoloration, or bleeding should be checked out by a dentist. Dentists are specially trained to evaluate the underlying causes of tooth and gum conditions, and can perform treatments that help our smiles remain healthy for a lifetime of use. Dentists around the world recommend that patients brush and floss regularly to keep our teeth and gums healthy. A fluoride toothpaste should be used twice daily; for those who enjoy sugary foods and drinks, brushing immediately after consuming those treats can remove the acids that can lead to tooth decay. Patients should floss to remove food particles and plaque that builds up between the teeth. 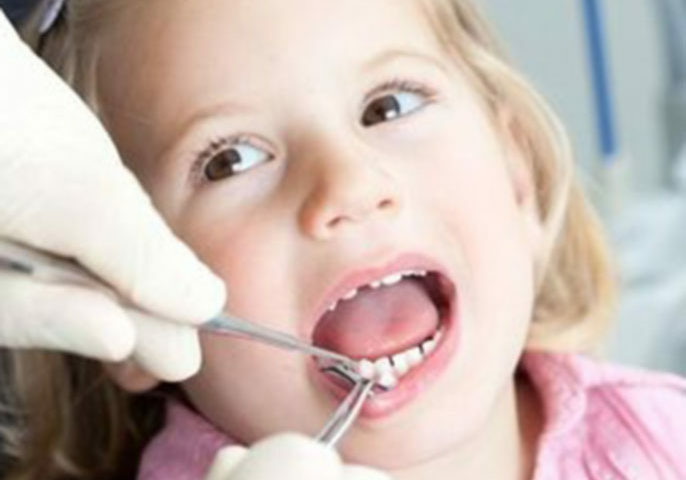 Finally, regular dental checkups and cleanings are a great way to maintain a healthy mouth.